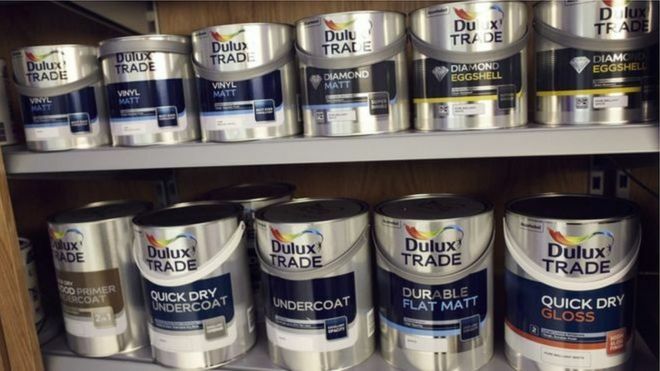 Akzo Nobel, the owner of Dulux paint, has rejected a third takeover offer by US rival PPG Industries, leaving the door open to a hostile bid. The Dutch firm said the 26.9bn euro (£22.8bn) offer undervalued Akzo and showed a “lack of cultural understanding of the brand”. The company, which claims its own plans for growth are superior, has been urged to reject a merger by the Dutch government and its own workers. But some Akzo investors favour a deal. PPG said it was disappointed by Akzo Nobel’s decision and would “review” the firm’s response. It comes several weeks after PPG increased its offer to buy the Amsterdam-based firm for the second time as it seeks to create an industry leader in the paints and coatings sector. The US firm suggested the bid was its last friendly attempt to merge with Akzo and has not ruled out putting the matter directly to shareholders. But responding on Monday, Akzo chief executive Ton Buchner said his team had conducted an “extensive review” of the bid and had again found it wanting. “The PPG proposal undervalues AkzoNobel, contains significant risks and uncertainties, makes no substantive commitments to stakeholders and demonstrates a lack of cultural understanding,” he said. Akzo says its own plans for the firm – which involve spinning off its chemicals division into a separate business – would better serve shareholders. It has promised to increase its dividend for 2017 by half and pay a 1bn euro special cash dividend in November. However, it also faces mounting pressure from some of its biggest shareholders to consider a deal, having repeatedly refused to enter talks with PPG’s management. Last month, the activist investor Elliot Investors also called for a vote to oust chairman Antony Burgmans – a proposal Akzo rejected. In its favour, Akzo has won political support against a tie-up, with four provincial governments having warned of its impact on jobs. The company also says that PPG would struggle to get the deal past Dutch competition regulators, which poses a risk to shareholders. As part of its latest offer, PPG offered commitments on jobs and to pay a break fee in case the deal was rejected by officials. Akzo Nobel shares fell more than 2% in morning trading in Amsterdam but have jumped about 30% this year.